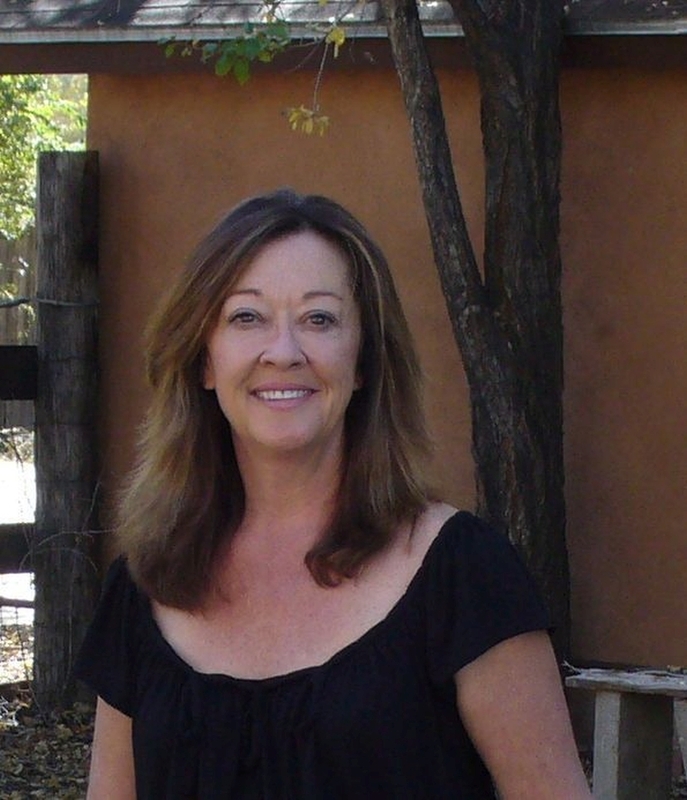 Dolores lives full time in Santa Fe, NM and is a member of the Caddo Nation of Oklahoma located near Binger Oklahoma. She also has some Winnebago, German and Swedish ancestors. Her father was career Air Force and relocation became a big part of her childhood as well. However, a constant in her life was time spent with her family in Oklahoma. She remembers listening to many stories passed down and draws on those historical stories for inspiration for her art. Dolores has expressed herself through art throughout her life. After working in a career outside the art world for many years, she began pursuing her dream by showing her work in galleries in the late ’90. By 2000 her work was actively shown in some of the finest Indian art shows in the US. Trained as a watercolorist she has several mediums she enjoys, with historical Ledger Art among her favorite. She researched the history and art of her tribe, and discovered that some Caddo Warriors were imprisoned at Ft. Marion, Florida in 1875. She traced her family history and along the way became fascinated with ledger art. Since that time and after a lot of research, she has developed her own style of this historical medium. Dolores is known to bring humor, whimsy, and bright primary colors depicting movement, while instilling some of the sophistication as seen in the ledger art. Many members of her family attended Carlisle and other Indian Schools, and those stories of hardship and isolation has influenced her art as well. Dolores has also researched the ancient ones from the Southeast and has found gourds to be an excellent vehicle to represent the masks found within the ancient mound sites of the Southern Cult Culture. Dolores’ work can be seen in several major galleries and top shows throughout the nation, including Santa Fe Indian Market, Heard Indian Fair and Market in Phoenix, and Native Treasures, in Santa Fe, NM. She is represented by several galleries including NMAI Smithsonian in DC and New York; NordAmerika Native Museum in Zurich Switzerland and Morning Star Gallery in Santa Fe, NM. She has been mentioned in articles in several publications including Southwest Art Magazine and Native Peoples. Dolores is also a former member of the Standards Committee for Santa Fe Indian Market (SWAIA) in Santa Fe, NM. All images and content ©2017 Dolores Purdy.